Of all the technologies found in a modern computer, I would have to say that over the past decade the device that has done the least to raise its game is the humble hard drive. It could be argued that over the years they have enjoyed significant increases in capacity, have become a great deal faster and a fair bit smaller, but for some time now it has been clear that the main storage device for your computer is also its biggest bottleneck. My first hard drive held 20MB and I’m currently using one which holds 1TB so although I can admit that a 50,000 times increase in capacity is a substantial development, this doesn’t deter from the fact that the technology involved has remained very much unchanged.A hard disk relies on a number of spinning discs, referred to as platters which are then read by a read-and-write head; the closest and rather crude approximation would be to think of a vinyl record being read by a stylus.Clearly the disadvantage of this technology is that it relies on moving parts and hence is limited in speed by the physical restrictions on the device, along with suffering potential reliability problems caused by having several magnetic discs each haphazardly spinning at 7,200 times a minute inside your machine. A technology that has been threatening to break in to the mainstream consumer market for some time now is the Solid State Disk (SSD) which stores its data on flash memory chips rather than magnetic platters; much in the same way as a little USB memory key, otherwise known as a flash drive. Since the SSD is physically larger than a flash drive there is room to fit a greater number of chips and hence the capacity can be increased accordingly.The speed of the memory used and the actual interface between the SSD and the computer is significantly faster than utilised by a flash drive and hence more suitable for the intensive access required when using it as your main storage device. With the physical restraints of the hard disk banished, defragmentation is no longer required.Unlike a hard drive which would have to physically move to several positions on the disc to read a file that was split in to several pieces across the platter, it takes no longer to read data from several positions on a memory chip rather than just the one.The lack of movement also results in the drive being completely silent and slightly more energy efficient than a conventional drive. One might wonder why we are still using the old cumbersome hard drives if such a technology is currently available and unfortunately there is one real sticking point. 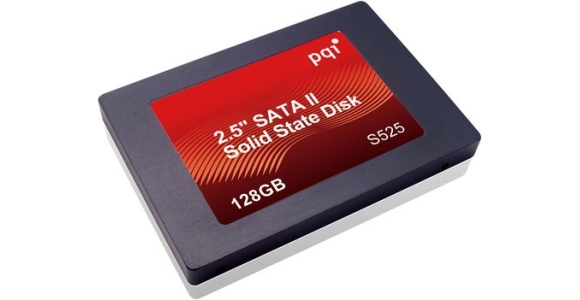 The price of flash memory is relatively high compared with the production cost of a hard drive platter so while you may be able to pick up a 64GB SSD for around £120 you could pick up a 750GB Hard Drive for half that amount.For this reason you are more likely to find Solid State Drives in relatively high end mini laptops where storage capacity and price aren’t such issues however only a fool would come to the conclusion that the capacity and price difference between the two technologies will remain for long.